Religious holiday is one of the most important aspects of human lives. Hanukkah is one of them. 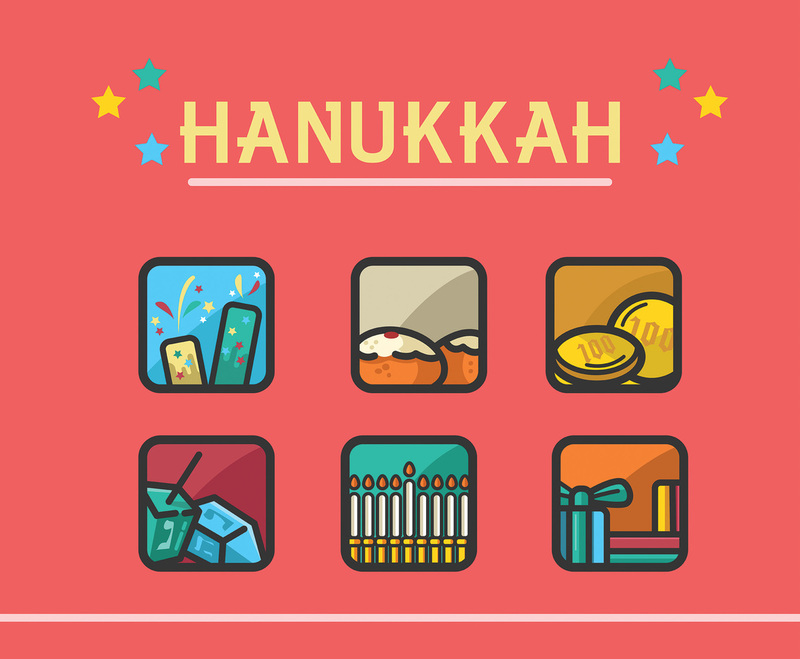 Presented in a joyful pink background, this design includes six colorful objects associated with Hanukkah. I hope it's useful for your project.